Join a ranger to celebrate the 12th Annual National Get Outdoors Day (GO Day) by enjoying healthy, active outdoor fun. We’ll hike a section of the Piedmont Loop trail and check out the action around the park’s Robins Nest Lake. The hike is easy to moderate and takes approximately an hour or so to complete. 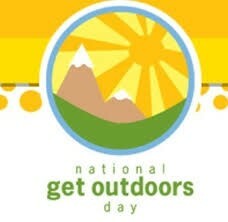 To learn more about this initiative visit: http://www.nationalgetoutdoorsday.org/about/. In case of bad weather, or for more information about this hike or future programs, please contact the park office at 336-342-6163.